Acting as your personal wake-up call, this easy-to-use Alarm Clock will have you waking up refreshed every morning. The Philips Alarm Clock FM is a stylish radio-alarm clock that looks nice and wakes you in time. 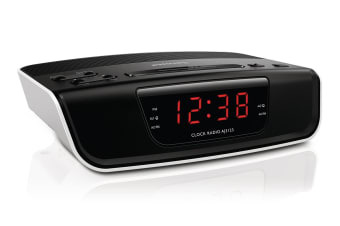 It has built-in FM radio and gives you a choice of waking up to your favorite station or the buzzer.